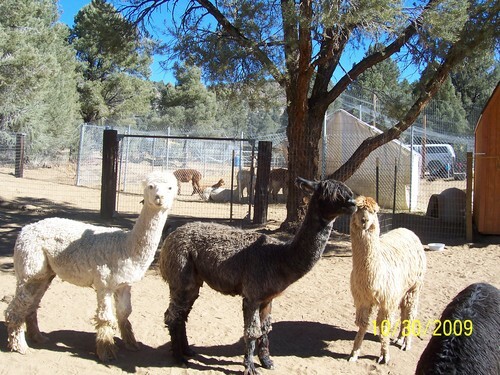 Openherd: Purple Sage Ranch Alpacas is a farm located in Inyokern, California owned by Steve and Donna Lynton. 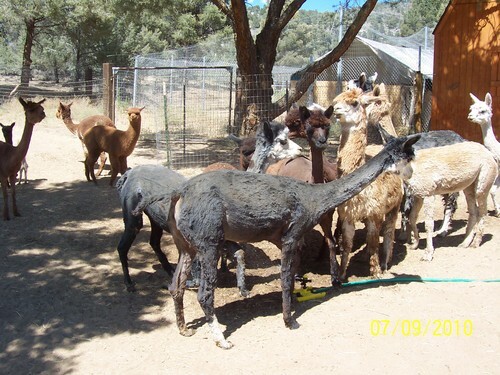 We started Purple Sage Ranch Alpacas with our first purchase of five suri alpacas in January, 2008. We still consider ourselves as newcomers to the alpaca business and probably will for many years to come since there's always something new to learn with these lovable animals. We agisted our first animals for ten months while trying to get our property ready for our alpacas. With several other purchases and numerous crias being born to our ranch over the past four years we now own 44 alpacas, both suris and huacayas. We also have one handsome llama boy named Sacatar that is our "guard" llama and a big beautiful female Great Pyrenees guard dog named Angel. Purple Sage Ranch Alpacas is located in the southern Sierra Nevada mountains on the eastern slope and at an elevation of 6,400-feet. 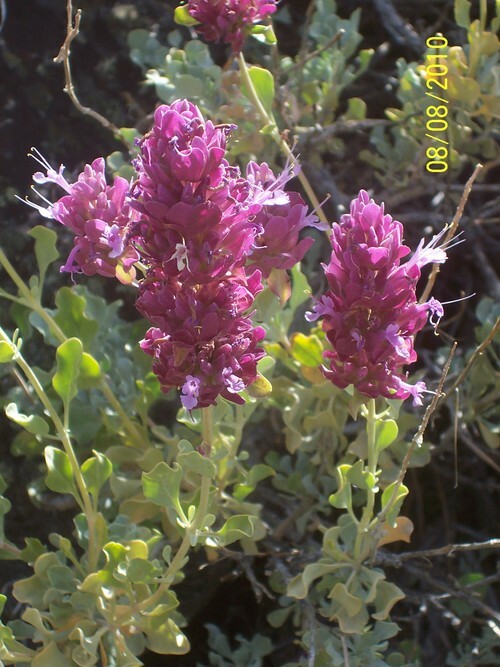 We are surrounded by pinon pine trees and sage brush, including the rare "purple sage", which is where we got our ranch name. We are also just a couple miles from the southeast section of the Sequoia National Forest. It's a beautiful, secluded area to raise alpacas however, it does pose it's challenges. We have fairly mild summers that usually don't get hotter than the upper 80's. Our winters are a little more difficult because of the snow fall, which can produce a three feet snow level at any given time during the winter. We are totally "off the grid" so that poses more challenges since we have to "produce" our own electricity and water. We are always working on the ranch, trying to improve conditions; water system, shearing techniques, herd health and maintenance. It is and always will be an ongoing process -- AND a learning process. We are new to Openherd, haven't set up a website yet but are working on it, so I hope anyone who looks at our profile will understand that this is still a "work in progress". Here at Purple Sage Ranch Alpacas, it's our objective to constantly try to improve our animals general health AND fleece. We are working on "upgrading" our females with breedings to higher quality males so as to improve their cria's fleece quality AND quantity. After all, that is what the alpaca business is striving for -- more fleece to sell, right?!?! 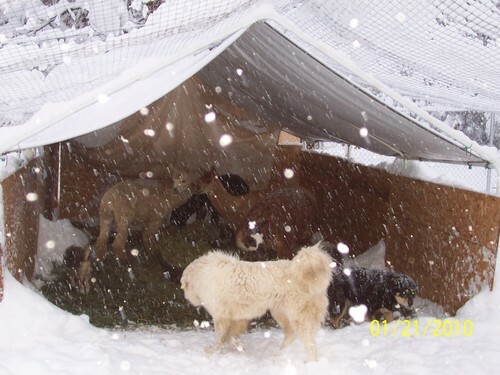 Raising alpacas in "God's Country"
Raising healthy and happy alpacas with the best fleece possible! !